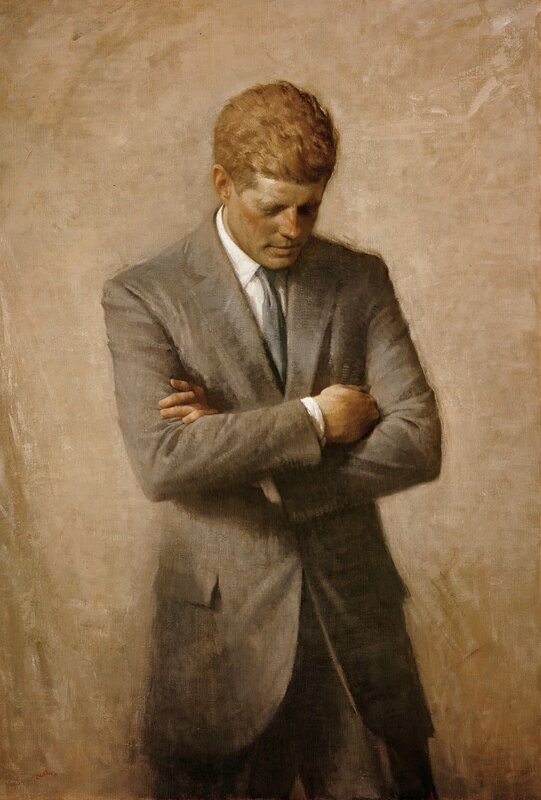 Today marks the fiftieth anniversary of John F. Kennedy’s assassination. I wasn’t alive when it happened, so it is not an event that really touched me personally. Yet, the anniversary has led me to reflect on it quite a bit, if only for the fact that it is really difficult to avoid all of the media coverage. And what strikes me is that it was a profound precursor to the world we live in now: one person, armed with powerful technology, can absolutely change the world with just an idea and three presses of a finger. Hard to fathom in the ’60s. Routine today. In April 2012, I posted about the efforts to create a national stolen cell phone database. Those concerned with trying to reduce the lure of cellphones for thieves wanted to create a database that carriers would use before activating a used phone to make sure that it had not been stolen. The New York Times has reported that the database hasn’t slowed thefts “in part because many stolen phones end up overseas, out of the database’s reach, and in part because the [phone’s unique numerical] identifiers [used to identify phones around the world] are easily modified.” Oh, and the database has not really been implemented yet. Samsung Electronics, the world’s largest mobile phone manufacturer, has proposed installing a built-in anti-theft measure known as a “kill switch” that would render stolen or lost phones inoperable, but the nation’s biggest carriers have rejected the idea, according to San Francisco’s top prosecutor. District Attorney George Gascon said Monday that AT&T Inc., Verizon Wireless, United States Cellular Corp., Sprint Corp. and T-Mobile US Inc. rebuffed Samsung’s proposal to preload its phones with Absolute LoJack anti-theft software as a standard feature. Huh? It seems like such a simple idea. CTIA-The Wireless Association, a trade group for wireless providers, said it has been working with the FCC, law enforcement agencies and elected officials on a national stolen phone database scheduled to launch Nov. 30….says a permanent kill switch has serious risks, including potential vulnerability to hackers who could disable mobile devices and lock out not only individuals’ phones but also phones used by entities such as the Department of Defense, Homeland Security and law enforcement agencies. Fair point. So, you have to figure out how to do this well. In the meantime, the carriers are nobly trying ensure the safety of consumers and citizens alike. Not my usual perception of phone companies, but ok.
Samsung officials told the San Francisco district attorney’s office in July that carriers were resisting kill switches, and prosecutors have recently reviewed emails between a senior vice president at Samsung and a software developer about the issue. One email in August said Samsung had pre-installed kill switch software in some smartphones ready for shipment, but carriers ordered their removal as a standard feature. Perhaps they are not so noble after all. Turns out lots of people benefit from the stolen phone economy. Carriers sell insurance with high deductibles and monthly fees. Manufacturers sell more phones. Thieves make money. Buyers get cheaper phones on the street, or perhaps get phones at all when they end up overseas. And Google gets to brag about increased activation stats for the new phones people have to buy. Lots of people benefit from stolen phones. It is important not to underestimate that momentum. A “kill switch” would be Android’s answer to Apple’s Activation Lock, a new safeguard introduced in iOS 7 that lets users remotely deactivate a phone and wipe its memory. But even after an iPhone has been reset, the original owner’s account credentials must be entered before it can be used again. Authorities hope this will dissuade thieves from targeting Apple products. For its part, Google allows consumers to track and remotely secure Android smartphones, but they’re not quite locked down to the same degree. In July, [San Francisco] prosecutors brought federal and state security experts to San Francisco to test Apple’s iPhone 5 with its activation lock and Samsung’s Galaxy S4 with LoJack. Treating the phones as if they were stolen, experts tried to circumvent their anti-theft features to evaluate their effectiveness, and that work is continuing. One Silicon Valley technology security expert said he thinks Apple’s activation lock is the first kill switch that meets law enforcement’s desire to protect iPhone users and other smartphone manufacturers should follow suit. So maybe it isn’t a crazy idea after all. One of the trickiest bits in the moral life is that doing the right thing is not necessarily enough. It is important, no doubt. You can’t do the right thing without, you know, doing the right thing. Yet, the point of the moral life is not simply to do thing that uphold values, but rather to become the kind of person who upholds values in everything you do. Being a person of virtue is more than just following the rules. It is about being transformed so that everything one does flows out of a desire to enhance human flourishing and into concrete acts that that make that a reality. The good person is one who does good things because they want to. This distinction between means (what we do) and intention (why we do it) is fundamental to understanding the character of our actions. And it is something we all know. We can see it operating in the old standby, “the road to hell is paved with good intentions.” Sometimes you try to do the right thing, but go about it the wrong way. So, too, can we do the right thing for the wrong reasons. Many people would harbor some reservations about a guy writing a huge check to charity in order to garner some great press for himself. We might like the fact that the charity has the money, but think the guy was a jerk. And the donor would defend himself based on the good consequences. But still, the act serves as a means for selfish self-promotion. But attending to the good life reminds us that there is more to life than consequences and more to who we are than the benefits that accrue. Sometimes being a good person—or a good company—means doing things that cut into the bottom line. Sometimes we have to take a chance and do something even though we don’t know how that it will end well. We have to actually be the person, not just look like them. Before diving into the features of the various services, it should be noted that taking advantage of any of these free cloud services comes with a potential price. As the saying goes, if an online site isnt selling you a product, then you are the product. Good to see a public service announcement of sorts about the costs of “free” services becoming a normal part of a review. While well known to folks who keep up on tech issues, this material is still unknown to many people. Imagine a person holding a gun on his lap, fully visible, while in the same room as President Barack Obama. The equivalent recently happened in Israel when investigative journalists from Channel 10 TV tested government security by slipping a functioning 3D-printed gun into the Israeli Parliament, the Knesset, and into an address by the Prime Minister Benjamin Netanyahu. In fact, the journalists got past Knesset security twice. The Channel 10 journalists printed the gun based on designs from U.S. nonprofit Defense Distributed, and although it contains one metal part, a nail that serves as a firing pin, the gun even made it past a metal detector. Given what has been revealed about the NSA data gathering and the broadening legal acceptability of online surveillance, somehow I don’t see anyone adding “more stones” to law enforcement anytime soon. Indeed, part of the motivation for printed guns seems to be precisely protection from the “defense side of the scale”. Not to be a total downer, but how does this end well? And what was that about an eye for an eye leaving the world blind?